Fourth grader Aicha Brown (aka “Cutie B”) is a writer and a rapper. Jan. 27, 2018, 11:00 a.m. Talented sisters Aicha and Yasmin Brown are both students at Philadelphia Performing Arts charter school. Of course, they’re also both huge Eagles fans. 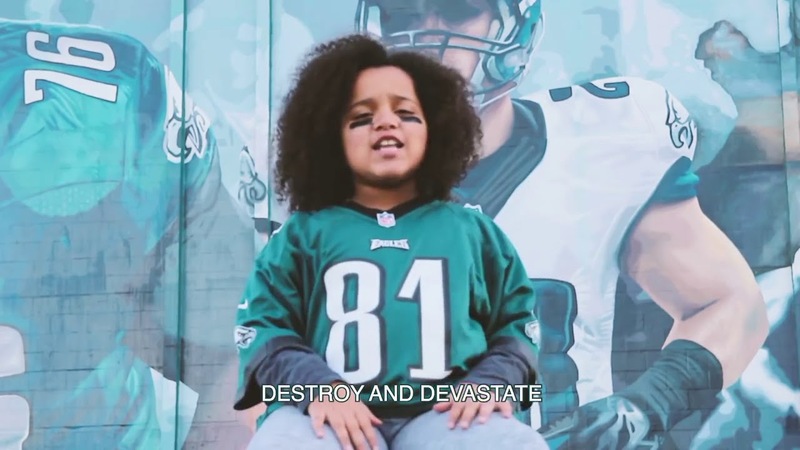 In advance of a Super Bowl pep rally at their school last week, Aicha, who’s in fourth grade, wrote a totally original song to support the home team. Her older sister Yasmin edited it for her. Under the stage name “Cutie B,” 9-year-old Aicha performed the song, and her father created a killer music video. The vid is complete with footage of the Philadelphia skyline, tailgating at the Linc, the Art Museum steps and lots of other iconic city scenes. The entire class at Aicha’s South Philly school, one of three String Theory Charter PPA campuses, got a chance to cheer for the camera, and former Eagle Thomas Tapeh also makes a cameo. We’re number one, forget about the rest! We’re the Eagles! Eagles! Eagles! Eagles!